Douglas Gresham is the Co-Producer of “The Chronicles of Narnia” film, The Lion, the Witch, and the Wardrobe to be released December 9, 2005 (USA) by Walt Disney Pictures. In a recent interview, Grisham discussed the fact that in addition to working on movies and writing books, he and his wife founded and operate a ministry in Ireland which is a part of the International Hope Alive Counselors Association. Douglas Gresham is the stepson of C.S. Lewis and son of Joy Gresham. He assisted on the 1993 C.S. Lewis biography film, Shadowlands. An article about Douglas’ background was published in a Focus on the Family magazine. 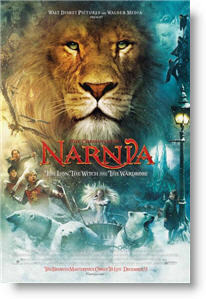 The transcript of a recent interview about “Narnia” is available at NarniaWeb.com. Also, see our preview page about the film.